In the final part of his series tracing the battalion’s march to the Battle of the Somme, Tony Kearney finds the Durham Pals on the eve of slaughter. EXACTLY 100 years ago today, a former railway fitter lazed in the sun in a French farmyard, his back against a barn wall, and wrote what he feared would be his final letter home to his family in Darlington. On the afternoon of June 30th, 1916 just under 1,000 men of the 18th Battalion of the Durham Light Infantry – better known as the Durham Pals – were waiting to go over the top. 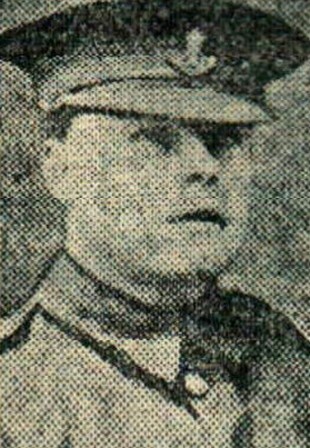 Among them was Corporal Wilf Barker, who in peacetime had worked for the North Eastern Railway Company and joined the Durham Pals when war was declared. Now the former teachers, clerks and shopworkers who had volunteered together and trained together were waiting just behind the frontline ahead of the first day of the Battle of Somme. Within hours, 300 of them would be dead or wounded. As he looked round the rest of A Company gathered in the farmyard, Corporal Barker wrote in his diary: “They are contemplating the possible fate that awaits them. They think of it resolutely and coolly, these young men are talking very low to one another and with slow and very infrequent gestures. To those who are returning to the rear, those going into action are entrusting their letter with their final commission. Corporal Barker then put his diary down and wrote his own letter home. The following day, he was shot in the stomach and was taken to hospital back in England. Meanwhile, C Company were in the ruins of a war-damaged chateau south of the village of Colincamps where commanding officer Lieut Col Hugh Bowes issued the orders. Lance Corporal Charles Moss, a Seaham boot salesman, later wrote: “There was to be no turning back, every man must advance at a steady pace, all officers had the authority to shoot anyone who stopped or tried to go back. “The wounded had to be left. The grimmest order to me was that no fighting soldier was to stop to help the wounded, the CO was very emphatic about this. “We spent the rest of the evening being issued with Field Dressings, extra ammunition, picks and shovels, camouflaging over our tin hats with sandbags and getting bayonets sharpened. There was a good deal of light-hearted talk amongst groups of us”. At 8.45pm, the 200 men of D Company who would be in the second wave of the attack were ordered to move up to the trenches and the remaining 790 men of the Battalion formed up outside the village of Courcelles. The men had little idea of the horrors which awaited on what would be the bloodiest day in British military history and seem to have been relatively cheery as they made their way forward, believing, as the generals did, that eight days of artillery bombardment would have pulverised the German defences and they were marching towards a glorious victory. Their optimism was soon put to the test. At 10.15pm, the rest of the battalion were ordered forward and found themselves walking through the fires of Hell. Enemy artillery had found their range and as the Durham Pals passed silently through Colincamps, every building was burning. Lance Corp Moss wrote: “The Germans had intensified the bombardment of Colincamps and the village was soon enveloped in flames. The explosions had a shattering effect and the particular rattling effect of the small arms ammunition added to the shrieking and whining and crashing of both British and German artillery fire made the deafening pandemonium complete. 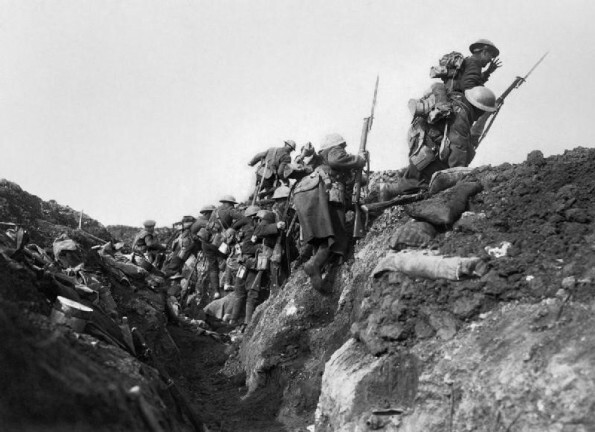 Slowly, they made their way through the elaborate trench system, each soldier laden down with 220 rounds of ammunition and carrying two Mills bombs in his pockets, until by 4am they were in position and waiting the shrill sounds of whistles to order them over the top. In the uncertainty which hangs over our lives out here today, I want to send you a kiss and fondest love & say a few words to you. First I want to tell you I am confessed, I am going into tomorrow’s attack with quiet confidence and a good strong heart. I know what I have to love in you and Father and my dear sisters and brothers. I am offering the sacrifice of my life not lightheartedly but with the conviction that it will save you all whom I love dearly. You will tell this to all the others then perhaps they will understand. I know the sharpness of the sorrow that will pierce your hearts if I have to go down, but that is left to our God, but on the other hand if he thinks it otherwise then I shall be spared. I have thought of the possible fate which awaits from many points of view, but we can do nothing, it is not in our hands, so just hope for the best. I send you all my love and kisses. I am your ever-loving son, Wilf.